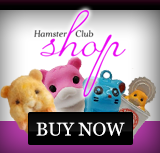 Hamster Club :: Watch these hamsters live now! Watch these hamsters live now! Daily Living of the Cute Little Hamsters 24hrs LIVE: What an adorable idea to watch your hamster anytime and from anywhere! Check out what Jy Tang did; he set up a camera to record his hamsters at all time! And we can all watch them live! 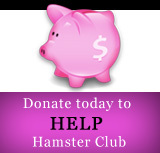 Click the below hamster video to watch the hamsters live!